The NBA has witnessed a lot of great scorers. Some of the best scorers in NBA history have amassed thousands of points in their careers, but still have no managed to win a scoring title in their careers. While to some, scoring titles don't really mean as much as it seems, they can serve as the marker for excellence individually for a player in the season. The scoring champion isn't necessarily always the MVP of the league, but they are usually the most important player on their team without question. There have been plenty of one time winners, who had amazing seasons, but will just miss the list (Westbrook and his amazing display in 2015, Lebron and his dominance in 2008, Wade in 2009, Carmelo in 2013, Jerry West in 1970, David Robinson in 1994, and of course this year's scoring champion Stephen Curry) due to only being one time winners. A few 2 time winners will miss this list as well, such as Adrian Dantley, and 3 time winners George Mikan and Neil Johnston will also miss this list (it is impossible to find any highlights or scoring reels from these two being that it was the 1940s and 1950s when they played). Narrowing down the list to just 10 was tough, especially with the order and what went into deciding on what criteria to choose. On top of scoring averages, we had to look at the number of scoring titles, FG%, and efficiency on the court to decide. The top 2 was pretty much the easiest part to pick, it was going through the 3-10 selections that were the hardest. Let's get right into it. -It almost surprises me that Shaq has only won two scoring titles considering his overall dominance of the game. It's almost as shocking as the fact that Shaq only holds one MVP award in his collection, but the 1995 award for Shaq was significant in many ways. This would be the same year he and Penny led the Magic to the Finals and in the regular season, the Magic dominated for the most part, garnering the no. 1 seed in the East. Shaq would be efficient and have a number of high scoring games, finishing just shy of 30 points per game with 29.3 PPG in 1995 to win his first scoring title. It was a magnificent feat, and though he wouldn't win for the next 5 seasons, he would always be one of the highest scorers in the league. His most important scoring title however is of course the second one. After a few unsuccessful playoff runs with the Lakers, we witnessed Shaq dominate again and help lead the Lakers to a massive 67-15 season before winning his first NBA Title. However, when talking the regular season, Shaq was unstoppable. 29.7 PPG to finish off his mega MVP season, there was nothing anyone could do to stop Shaq and he earns a spot in the top 10. 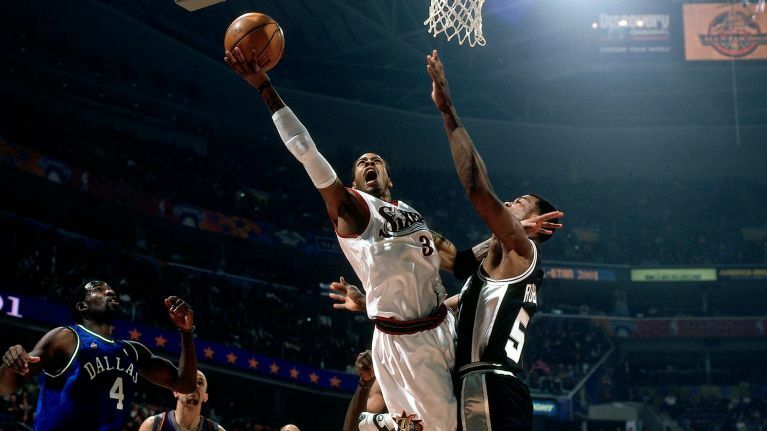 -T-Mac was a beast in his prime, bar none. His prime as a scorer and player came right before he got injured and would slow down a bit. 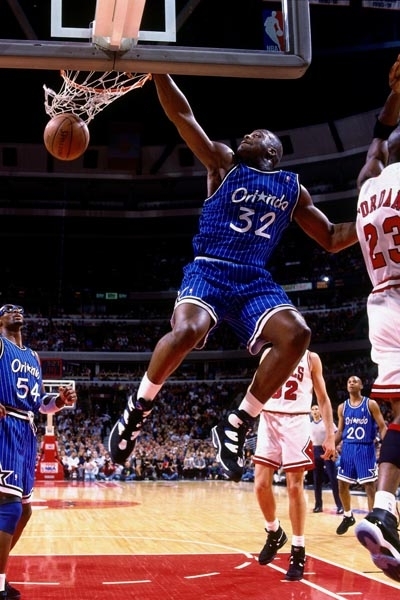 His 2003 season was absolutely insane, as he finished with 32.1 PPG on the year to lead the Magic. His performances in big games for Orlando was vital though they weren't a great team, and he would follow up his superb 2003 season with another big season in 2004 and a 2nd straight scoring title. Though his 2nd straight scoring title wasn't as spectacular, as he finished with 28.0 PPG, he still earned the title, and set himself up to be listed as one of the greatest scoring champions ever. -Granted, I wasn't able to witness Bob McAdoo in his prime, I have to give it up to the three time scoring champion, as he showed a level of scoring dominance from 1974 to 1976. 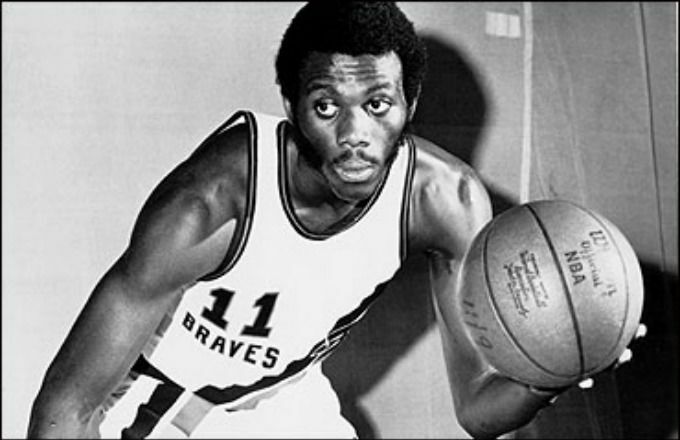 Playing for the Buffalo Braves (this is a marker of how long ago it was), McAdoo was superb in winning his first scoring title in 1974, finishing with a solid 30.6 PPG on the year. It would be his next year that really cemented his legacy, as he won his 2nd straight scoring title via a staggering 34.5 PPG average on the year. Then, as if that wasn't enough, McAdoo completed a three-peat, winning his third straight title with another amazing season, putting up 31.1 PPG. For his time and era, McAdoo was one of the greatest scorers without a doubt. -Doesn't it seem almost hilarious that the NBA all time leading scorer only won the scoring title twice? 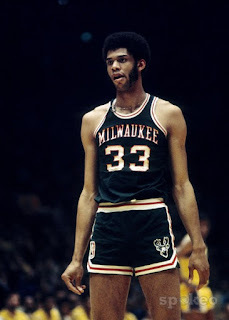 Well, in 1971, when he was still known as Lew Alcindor, he would pull away with his first ever scoring title, on a very solid 31.7 PPG average. 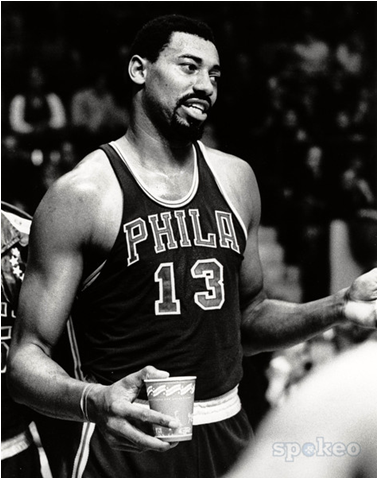 His popular sky hook and post game allowed him to score almost freely, and finish with ease, and in 1972, he would be able to hold onto his scoring title, improving his PPG average to a massive 34.8, which is not an easy feat. Kareem might have only won this award twice, but his record stands as the greatest all time scorer and no. 1 on the all time scoring list. The only reason why he isn't a bit higher on this list is because he only won it twice. Otherwise, it'd be impossible to not have Kareem in a top 5 for almost every list. -The no. 3 scorer of all time and one of the top 5 players ever has to be on this list. Sure, he only won the title twice, but it's what he did when he won the title that makes him almost top 5 on this list. Kobe was always a dominant scorer, but in the years he played with Shaq, he was overlooked slightly until he came into his own during these years. On a Lakers team with very little solid help, Kobe took over from a scoring perspective, and he would put up a ton of 50 and 60 point games during his first scoring title run in 2006 and he would also have his infamous 81 point game this season as well. It was a masterful season from a scoring perspective, as Kobe finished with an outstanding 35.4 PPG on the season. The following season would be more of the same, as Kobe cruised to another scoring title in 2007, finishing with 31.6 PPG, going back to back with scoring titles. It was a great achievement for Kobe, and with the level of scoring and some of his most dominant games coming in this two year period, it's why he's a bit higher on the list. -The Iceman was one of the greatest scorers we've ever seen. I've admittedly only got a chance to watch his highlights over the years, and wasn't around to see him play, but I am fully aware that he's one of the more dominant scorers, and he would go on a crazy run, winning three scoring titles in a row from 1978 to 1980. His first scoring title saw him finish with 27.2 PPG, which is solid, but not spectacular, then in 1979, he would go even higher, finishing with 29.6 PPG, but it would be his 3rd straight title in 1980 and his fourth scoring title in 1982 that saw his scoring averages go through the roof. 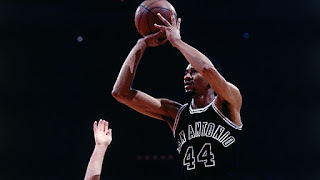 In 1980, Gervin finished with an amazing 33.1 PPG, and then capped off a run of scoring dominance with his 4th scoring title in 5 seasons in 1982 with another spectacular scoring display that finished with 32.3 PPG. Gervin was a tad before my time, but make no mistake about it, when we talk about scoring champions, he's certainly top 5, and if you had him in your top 3, I definitely couldn't fault you. He's right up there. -The Answer. I struggled between him and Gervin for this 4th spot, along with KD. I had to go with my gut and put the players I actually witnessed playing over Gervin, and Iverson was always one of my favorites to watch play growing up. He was a scorer for sure, though his shot selection was never the prettiest, he could score like almost no other. His first scoring title came in 1999, as he won the title during a shortened season on a rather unspectacular 26.8 PPG, but he would come back with a great showing in his MVP year, finishing with 31.1 PPG in 2001. I'd say that 2001 was his best season individually overall, but the following year in 2002 isn't too far behind, as he won his 2nd straight scoring title and his 3rd overall on 31.4 PPG. His final scoring title is probably his most significant because it came a few years down the line in 2005, as Iverson put up another 30 point season to win his 4th, as he finished with 30.7 PPG. Iverson was an amazing scorer, and over the years, he was usually in the top 3 scorers every year for a good amount of seasons, amassing these 4 scoring titles. He certainly belongs on this list. -KD above Iverson and Gervin? Yes. 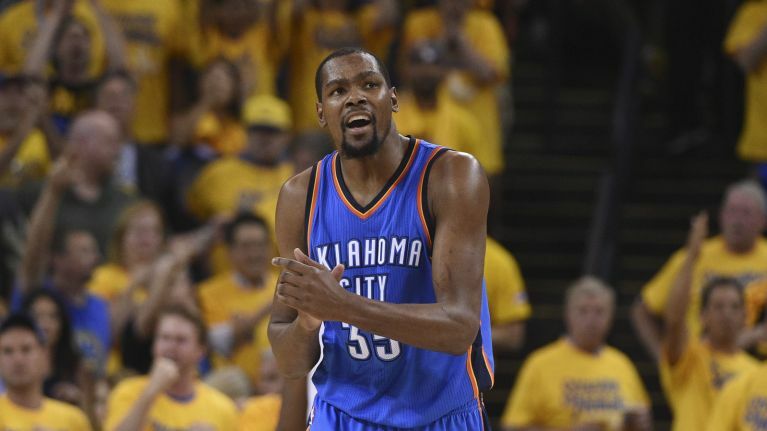 KD is one of the best natural scorers this game has ever seen, that's for sure. He's flawlessly weaved from mid range to 3 pointers to post scoring, and earned his way into 4 titles over 5 seasons, a truly dominant force in this era of basketball. KD came into the league and won the scoring title as the youngest player to do so, a feat which is why he is so high on the list. In what was his 3rd season in the NBA, KD finished with 30.1 PPG to win his very first title, then follow it up with two more scoring titles in a row, on 27.7 PPG and 28.0 respectively in 2011 and 2012. After just missing the scoring title in 2013, KD would bounce back in a major way the following year. He would win the league MVP award and go on to win his 4th scoring title, with his highest scoring average in his career of 32.0 PPG. It was the highest moment in the short career of KD so far, and with this season, he solidified himself as a top 3 NBA scoring champion of all time. -Though the consensus is the era Wilt played in is what led him to be so dominant, there's no denying that he was one of the greatest scorers of all time. His height, dominance, and lack of true competition might have been what tipped the scales in his favor, but regardless his numbers are out of this world. No one has ever averaged over 40 or 50 points per game in a season, except Wilt. He won 7 consecutive scoring titles, a feat that only one other man has done, and with average of 37.6, 38.4, 50.4, 44.8, 36.9, 34.7, and 33.5, there's no doubt that he deserves to be no. 2 on this list. There's just no way you can put anyone over him. Whether Wilt and his scoring was a product of the era or not, we have to recognize greatness for what it is and has been bar none. 7 straight scoring titles and the two highest scoring averages ever in the history of the game easily make Wilt one of the best, and the 2nd greatest scoring champion ever. -Outside of a perfect record in the Finals, an amazing defensive career, 6 Finals MVPs, 5 regular season MVPs, 6 NBA titles, being a 14 time All Star, the All Time Leading Playoff scorer, and being widely known as the greatest player in the history of the game, Jordan is also the greatest NBA scoring champion, and it honestly isn't close. He played in the toughest era ever, and won 7 straight scoring titles before retiring the first time. In his prime, Jordan was just a dominant scorer, pulling up with his epic mid range or driving consistently in his early years. His first scoring title would be his highest scoring average period in just his 3rd season, as he finished with 37.1 PPG, becoming the most dominant scorer in the league at that point. Jordan would eventually adjust his game in later years, but those early scoring titles were full of flash, flare, and high profile dunking/scoring. 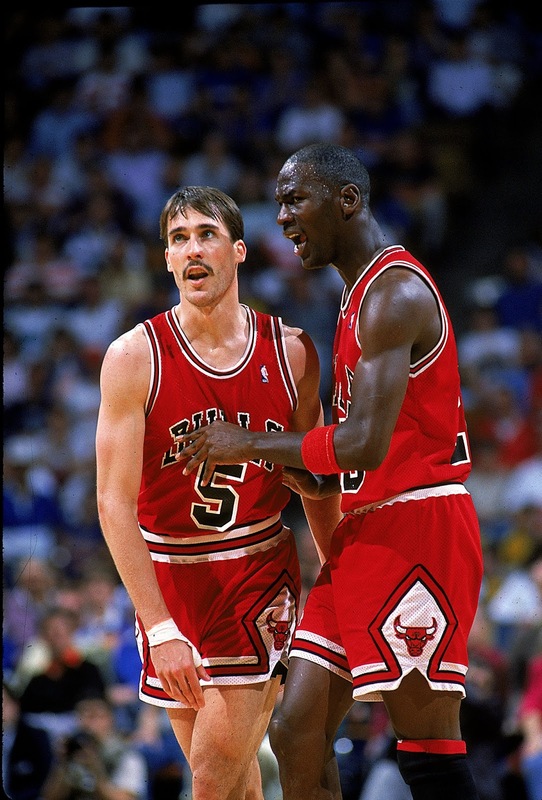 With his first two scoring titles being his highest two seasons scoring (37.1 PPG in 1987 and 35.0 in 1988), Jordan would become untouchable. He would end up winning the scoring title in 1989 with a 32.5 PPG, in 1990 with a 33.6 PPG, and then in 1991 with 31.5 PPG before winning the NBA Championship, 30.1 PPG in 1992 before winning title no. 2, and 32.6 PPG in 1993 (I still say that Jordan deserved the MVP that year over Barkley) before winning title no. 3 and retiring for two seasons. 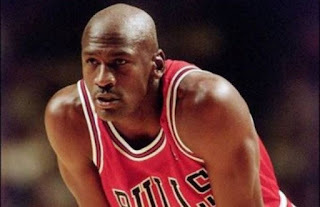 One would assume that Jordan would have likely won an 8th and 9th scoring title had he never retired for those 2 seasons, but he picked up right where he left off when he came back, winning the scoring titles in 1996, 1997, and 1998 to give himself 10 scoring titles in his career. There's no way that anyone could even come close to that in today's league and all the top prospects are either retired or nearing the end of their careers. The only logic one to possibly give Jordan a scare is KD, but I can't see KD winning 6 more scoring titles in his career, especially now as a member of the Golden State Warriors with that dream team roster. Jordan is the standard for the NBA period, and when it comes to NBA scoring champions, nobody did it better. Ever.